Yay! It's that time again, my favourite time of the month! It's time to pick our winners! So, let us get on to it shall we? 1 - Wendy! 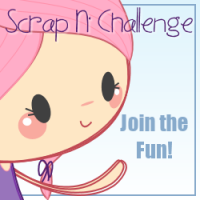 She used a free stamp to get her first entry into the challenge from Scrap N' Dipity! This is the stamp she won with and did a marvelous job colouring this stamp and although she tore a page from a book - which I would never condone *lol* - she turned the stamp into a really beautiful card! 2 - Richa! 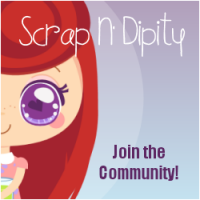 - She really lays her card out for you to see how it was made - and it's BEAUTIFUL! She really made something quite simple bit the overall effect is lovely! 3 - Sandra! She made a really sweet card full of soft colours that are just lovely! Her layering is pretty phenomenal too and really makes her project pop! Congrats to all the lucky winners and thank you to all who joined in to play with us, we really appreciate it! I'll be contacting you by email but if it does get lost in the shuffle please feel free to visit the shop there is a contact form there you can use!